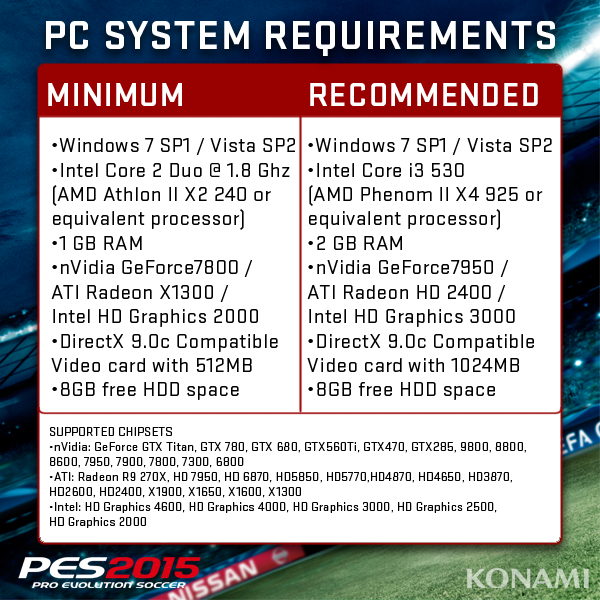 Here are the PC requirements for PES 2015, released by Konami just moments ago. Meanwhile, a new trailer has been unveiled for the Brazil Game Show. Starting yesterday in São Paulo, the BGS is Latin America's largest gaming convention. Konami are there with a special demo of PES 2015, which features clubs from this year's Copa Libertadores and Copa Sudamericana.